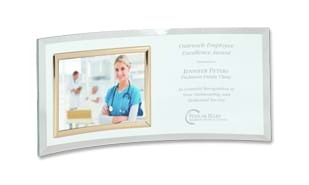 This award features a jade glass crescent with beveled edges and has a gold photo frame that holds a 4" x 6" picture in landscape (horizontal) format. 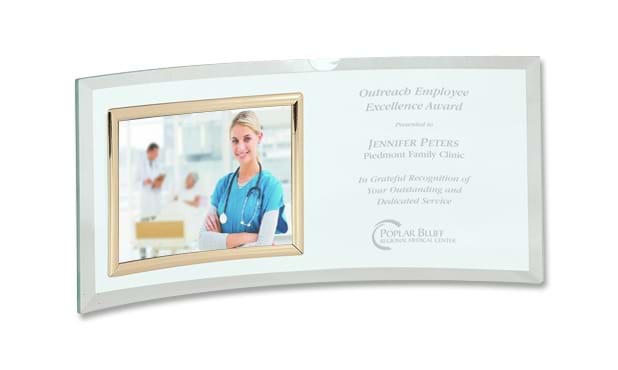 Award measures 6-1/2" high x 12-3/4" long. General inscription is included in the price. Artwork set-up cost may apply for custom artwork and logos.